The total United States Internet advertising revenues was $22.7 billion in 2009. The third-quarter of 2009 accounted for around $5.5 billion and fourth-quarter of 2009 accounted for around $6.3 billion. There was a decrease in Internet advertising revenues in the year 2009 when compared with 2008. There was around 3.4 percent decrease. The total Internet advertising revenues accounted for about $22.7 billion in the year 2009. There was a 3.4 percent decrease when compared with the year 2008. The total Internet advertising revenues reported to be 23.4 billion in 2008. The total US Internet advertising revenue was $6.3 billion in the fourth-quarter of 2009. There was an increase of 13.8 percent from the third-quarter in the year 2009 which is $5.5 billion. The 47 percent of 2009 revenues were accounted by search revenue which was up from 45 percent as in 2008. 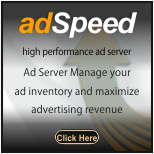 There was a very good growth in display advertising which accounted for 35 percent in 2009 revenue. There was an increase of 2 percent when compared to 2008 which was 33 percent.